have you ever seen a bag like this? i found this little treasure on ebay. the seller offered it as a piece from 50s/60s. when i first saw the auction i actually couldn't believe this bag would be from this time - but the materials and the way it's made it's totally early 60s. What a beautiful bag! Honestly, I have never seen anything like that, great details! Your dress is also supercute! Yes, I have already seen these kind of bags on Ebay, absolutly 60's accessories! LOVELY!!! I like your whole outfit, and the bag is amazing! Oh it's so pretty, I love the raffia flowers they always say summer and beach fun. 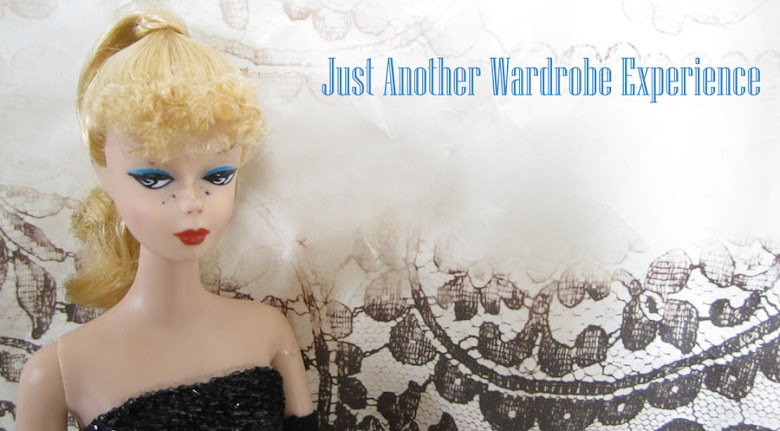 I do love the wee blue dress you are wearing too, just perfect. amazing boots and retro dress!! i absolutely adore your bag!! Oh mein...die Tasche ist ja der Hammer!!! Ich bin grad unglaublich neidisch! That bag is amazing! I'm really surprised it's 60s indeed, it has such modern clasp but the style is very 50s indeed. You're completely right - it must have some Bavarian/German influence to it! All together looks really good! It's absolutely beautiful, just stunning. Lovely dress! And the bag is wow! Die Tasche ist ja süß, passt zu dir! die Tasche ist echt Zucker ;) total schön!!! und was für ein tolles Kleid, ich liebe Hahnentritt! wünsch dir ein tolles Wochenende hübsche! I am in love with your bag! He is amazing. Never seen one like that before. Love the wood. And you look so sweet in that dress. 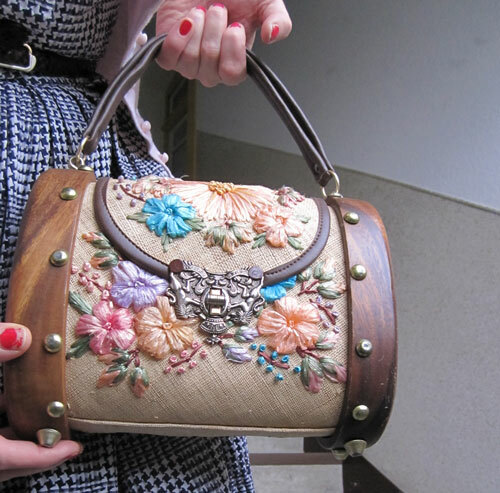 That is, bar none, one of my favourite vintage purses I've ever seen. What an incredible find - it's an absolute work of art! I'm in love with this bag! Ohmygosh it's perfect! This dress is so gorgeous ! !